Samuel Taylor Coleridge wrote some of the most famous and well-loved poems in the language, including Kubla Khan, The Rime of the Ancient Mariner, Christabel, Frost at Midnight and many others that still await the wide readership they deserve. 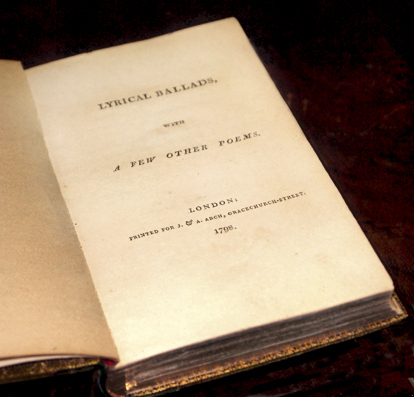 Lyrical Ballads (1798), the result of his momentous collaboration with William Wordsworth, is traditionally regarded as one of the founding texts of English Romanticism. Coleridge's life was not an easy one. Burdened with an addiction to opium, and with a wayward personality, he suffered from feelings of isolation and despair. Yet he was amazingly productive. As well as writing poetry, he was a philosopher, illuminating literary critic, lecturer, journalist, and political activist - and a dazzling talker. Despite his difficulties, to the end of his life his poetry and prose writings bear witness to his spontaneous delight in the world around him. He was one of the most important figures in one of the most remarkable movements in English literature, and his influence on his contemporaries, and on writers and thinkers ever since, has been immense. The Friends of Coleridge exist to foster interest in Coleridge's life and works. We publish the Coleridge Bulletin, which is sent out to members twice a year. If you would like to learn more about Coleridge and meet other Coleridge enthusiasts, come along to the biennial Summer Conference, or the Autumn Study Weekend which is held in Somerset near the Quantock Hills, where Coleridge wrote much of his most famous poetry. We are always keen to welcome new members so please visit our Join us page for details.